Posted July 18th, 2012 by Yvonne Hawkey & filed under Digital, Naim. Say â€˜helloâ€™ to Sonataâ€™s first hard-disk music player and server. What a clever piece of kit this little devil really is and so easy to use. Naim have done a wonderful job of taking the angst out of this kind of device, which is just what great engineering should do. 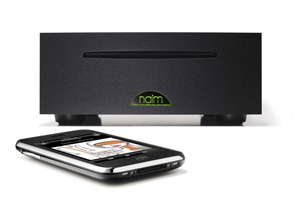 Bit perfect ripping has never been better thanks to Naim ! It does loads of other stuff too but I donâ€™t want to bore you, all I need to say is that the UnitiServe does what itâ€™s supposed to do â€“ serve the music.